July 2018 means another edition of our annual community power up weekend…we call it Empowering Lifestyles Weekend! Empowering Lifestyles Weekend (ELW) is the collective vision of Power In One (PIO) Fashion Boutique, Fit Bye Pharr Fitness Studio and I Can, We Will. ELW 2018 is presented by Power In One Clothing and Healthy Phit Physical Therapy & Wellness Consultants. Our desire is to build knowledge and recognition of our brands while uplifting the community, the people and the surrounding businesses along the way. 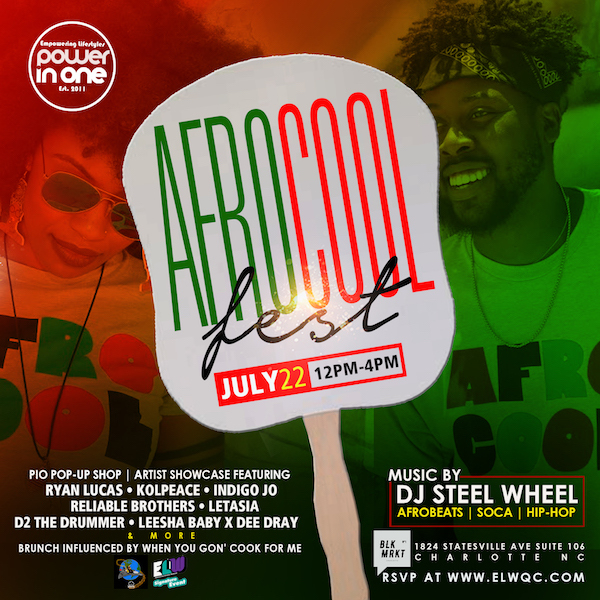 ELW 2018 will serve as the flagship to an annual event consisting of a Health and Fitness Expo, 5K Race/Walk, All White Attire Gala on the Lake, and a Summer Block Party & Local Artist Showcase. These events will take place in Charlotte, NC from July 20-22, 2018. ELW 2018 will be the 7th consecutive year of this impactful, empowering weekend. 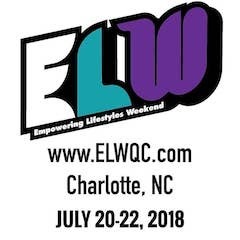 To Register and to View the Full #ELW2018 Schedule of Events visit www.elwqc.com . Our finale event is going to be so #AfroCool! Proceeds from #ELW2018 will be used to support local youth empowerment service organizations and mental health awareness organizations.